Do you have questions about a possible Choking and Suffocation Deaths case? Contact us now using this confidential form. We'll help you get answers. Nursing home residents should never choke or suffocate in nursing homes. Choking and suffocation deaths in nursing home are preventable. Unfortunately, they do happen. And probably much more often than most people can imagine. Choking and suffocation continue to be leading causes of death in nursing homes. Choking is a leading cause of deaths in nursing homes. Who Is at Risk for Choking in Nursing Homes? Is Choking A Sign of Neglect or Negligence? What Conditions Put Nursing Home Residents at Risk for Choking? What are the Signs of a Swallowing Problem? What are the Different Phases of Swallowing? What Happens When A Nursing Home Resident Chokes? How Can Nursing Homes Prevent Choking Deaths? How do I Hire You to be my Choking and Suffocation Deaths Lawyer? 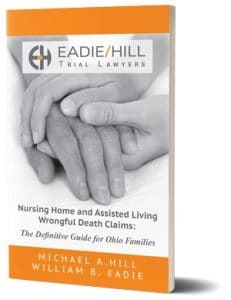 Nursing Home Settles Choking Death Lawsuit — Understaffing to Blame? Another Nursing Home Resident Allowed to Choke to Death? Anyone who has trouble swallowing is at risk for choking in a nursing home. The medical term for having trouble swallowing is “dysphagia.” Many elderly and disabled people have problems swallowing. The elderly are much more like to die from choking than the general population. In addition to choking, difficulty swallowing can cause aspiration pneumonia (food or fluid entering the lungs), malnutrition and dehydration if not treated properly. There is no good reason that a nursing home resident should ever die from choking. Nursing homes have a duty to provide a safe environment for their residents. This includes providing a choking-free environment and training staff to react immediately if a resident shows any signs of choking. The nursing home must provide foods that the resident can tolerate. The nursing home must closely monitor residents, especially residents at an increased risk of choking. The nursing home must oversee and supervise medication intake, mealtime, and assist residents who need help eating. Unfortunately, choking and suffocation continue to be leading causes of death in nursing homes in the United States. as the lack of muscle strength, complicating the bolus propulsion; the diminished lingual pressure, obstructing bolus driving; halting of the bolus whilst swallowing, leading to a more difficult cleansing of residues; the decline of taste and smell, making it more difficult to initiate swallowing; difficulty in controlling bolus from the anticipatory phase; the entering of the bolus into the lower airway; and finally, the lack of teeth and the wearing, or not, of complete dentures, which influence chewing. The disruption of the capacity to swallow in older adults has long-range consequences with severe health implications. It may result in dehydration, malnutrition, airway obstruction, and aspiration pneumonia. Advancing age is also increasingly associated with comorbid situations, predisposing individuals to frailty that, in the event of an aspiration episode, may give rise to increased morbidity and mortality. Presbyphagia becomes clinically more relevant from the age of 80 onwards, and frail older people with dysphagia present higher mortality rates. According to Cabre et al, oropharyngeal dysphagia is a highly prevalent clinical finding in older people with pneumonia. Moreover, the repercussions of dysphagia are both physical and also emotional and social, leading to depression and social isolation, with a great impact on the quality of life. The NCBI study can be accessed here. Dementia is caused by any one of a number of disorders that affect memory, behavior, thinking, the ability to perform activities of daily living. It is more of a category of disorders than a specific disease. More than 5 million people in the United States are affected by some form of dementia. In a study of 323 nursing home residents with advanced dementia observed for a period of 18 months, 86% were observed to have eating problems, including swallowing or chewing problems, refusal to eat or drink, suspected dehydration, and persistently reduced oral intake. Alzheimer’s disease affects the memory. It is a kind of dementia. Just as people with Alzheimer’s often do not remember how to drive a car or ride a bike, they may forget how to chew altogether. Even if a resident with Alzheimer’s does remember how to chew, she may not remember what foods are safe for her to eat. Some conditions affect the body’s ability to control nerves and muscles. These are called neurological disorders. While these can affect muscles anywhere in the body, the can also attack the muscles in the mouth, throat, and esophagus that control swallowing. Neurological disorders such as muscular dystrophy, multiple sclerosis, and Parkinson’s disease may influence the ability to swallow. The brain controls the body. When the brain is damaged from injury, stroke, or other cause, it can limit the body’s ability to process the need to swallow. There are more than 50 pairs of nerves and muscles that control swallowing. As we age, these nerves and muscles often become weaker. Being elderly is a risk factor for choking. Some types of cancer can affect swallowing. This includes cancer of a person’s mouth, throat, and esophagus. Additionally, difficulty swallowing occurs after some cancer treatments including surgery, radiation therapy, and chemotherapy. If a nursing home resident wears dentures, they can become a choking hazard if they are not checked regularly. They should be checked regularly. It’s important for nursing homes to be aware of subtle signs of swallowing problems. There are three phases of swallowing. A breakdown in any one or more of them results in dysphagia. Food is moved from the throat to the esophagus using muscles that protect the airway from being blocked with food. If the muscles are weak, food or liquid can get into the airway causing choking. Food enters the esophagus. The esophagus tightens to “squeeze” the food down toward the stomach. Pressure from the food or liquid causes the bottom of esophagus to relax and open so food can enter the stomach. When the esophagus does not open as it should, it causes difficulty swallowing. The esophagus can tighten up and the person may spit up or vomit. Choking happens when a piece of food or other items blocks the airway preventing the ability to breathe. The body needs oxygen to survive. Without oxygen rich blood, the body’s tissues will begin to shut down and die within minutes. When a person begins to choke, nursing home staff only have minutes to act. This is why it is so important to prevent choking before it occurs. However, when it does occur, nursing home staff must be prepared to recognize the signs of choking and act immediately! Without immediate action, death by choking is certain. All of the following are choking signs and behaviors. The natural response to choking is to grab the throat with one or both hands. This is the universal choking sign and a way of telling people around you that you are choking. The skin may begin to turn blue. This is called “cyanosis.” This occurs after other choking signs and behaviors have occurred. It is caused by a lack of oxygen to the skin. This blue coloring to the skin will be seen earliest around the face, lips, and fingernail beds. Not all of these signs will be present when a nursing home resident chokes. For example, a resident with dementia may not initially realize he is choking or may not have the ability to cough or gag. When a patient enters a nursing home, the nursing home is required to assess that patient. 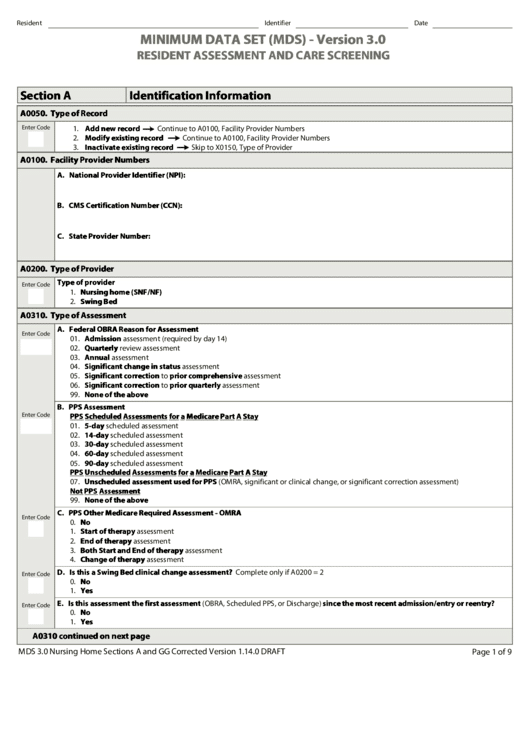 This is needed in order to determine the kind of treatment the patient needs. The patient needs are used to create a treatment plan that is appropriate for that patient. This assessment should take into consideration any risks the patient has for swallowing or chewing. If it cannot be determined whether the patient has risks for choking, that patient should be referred to a doctor or speech language pathologist for an assessment to determine her abilities. The nursing home should reassess the patient periodically to look for any changes in the patient’s abilities. Nursing homes are required to perform assessments of patients using what is called a Minimum Data Set (or “MDS”). 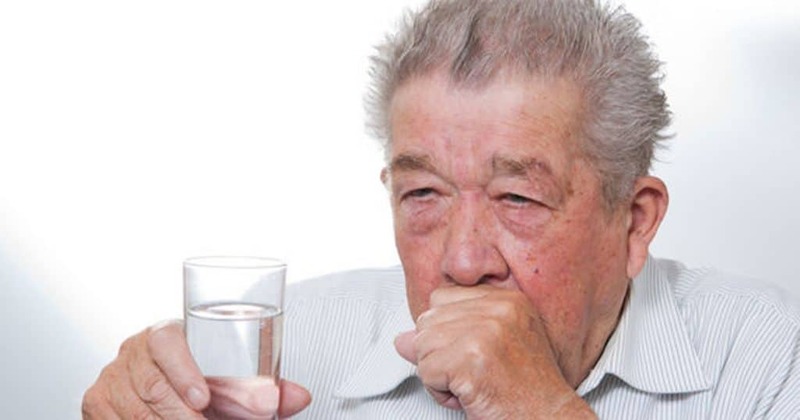 It is standard for nursing home residents to receive tests to measure how well they swallow. These tests not only look for whether residents have trouble swallowing, they seek to identify what areas of the mouth and throat are affected. It is standard for elderly patients in nursing home to receive swallowing tests. Exercises to increase the strength of swallowing muscles. Dilation to expand the throat. In this treatment, a device is placed down your esophagus to carefully expand any narrow areas of your esophagus. Medicines may be prescribed, especially of swallowing problems are caused by GERD, heartburn, or esophagitis. Medications may prescription medicines may help prevent reduce stomach acid entering the esophagus. Surgery may be an option if something is blocking the esophagus (such as a tumor or diverticula). Changing Diet is the most common solution for nursing home residents. It is the job of the nursing home to provide their residents with foods that are safe to eat. A nursing home must never provide a nursing home resident with foods that increase their risk of choking. For mild swallowing problems, a nursing home may implement a plan to have the resident eat several smaller meals. This can alleviate some of the choking hazards of larger meals. Nursing homes can also implement a “dysphagia diet.” This is a diet that prevents choking. This usually consists softened or pureed foods, such as cream-based soups and foods that are the consistency of baby food. How do these diets help? When people choke, it is on a clump of food, called a bolus. The consistency of these foods prevent such a bolus from forming. Therefore, the resident cannot choke. It’s not enough to assess the patient’s needs and create a treatment plan. The nursing home must make sure that the treatment plan is being communicated by the people who need to know it. A treatment plan that says a patient needs to be monitored while eating or can only getting pureed foods does no good unless everyone at the nursing home knows about it. A nursing home must have policies and procedures about diet and meal service. Like anything else in life, a policy and procedure does no good unless it is being followed. A nursing home must clearly communicate the policies and procedures concerning meals and diet to its nursing and dietary staff. A nursing home must not only communicate these policies and procedures, it must provide enough resources to (1) have enough staff to carry out the policy and (2) train its staff on how to carry out the policy. Many of my clients describe the “ghost town” effect, especially at night and on weekends: empty halls and hard-to-find staff. Understaffing is a great risk factor for choking. Understaffing of nursing home personnel has been described as a patient safety crisis. Nursing home understaffing is when there are not enough nursing home staff to meet the specific needs of all the residents. 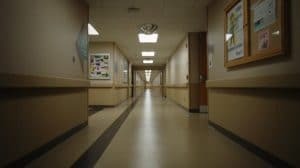 Because understaffing of nursing homes is such a critical issues for patients and families, we have devoted an entire section of our website to educating the public about the evils of understaffing here. In order to prevent choking deaths in nursing homes, all nursing homes must make sure that they have trained their staff on choking risks factors, assessing the patient for choking risks, and responding to choking emergencies. Without sufficient training in these areas, nursing home patients will surely die, and any nursing home manager knows this. Does the nursing home have a protocol for managing choking emergencies? It is never acceptable for a nursing home to refuse to develop a protocol to save the lives of patients who are choking. Nursing homes know that eventually someone will have a choking event. To not have a management plan to save a choking resident’s life is nothing short of homicide. Entanglement- often times physically and mentally disabled residents can get tangled in restraints, garments, bed linens, or they can get their heads caught between bed rails, and other similar devices. Faulty or poorly maintained breathing aids- breathing tubes and oxygen tubes can become obstructed if not properly maintained. Lack of assistance while eating or drinking- residents who are not able to eat or drink safely on their own and are left to do so, are at high risk for suffocating. All of the causes mentioned above are preventable, by properly trained nursing home staff and the implementation of proper medical protocol and supervision of high risk residents. Like many other problems in nursing homes, understaffing can play a role in a suffocation death as well. When staff are poorly trained or a nursing home is understaffed, it is impossible for residents to receive the care that they require. If a nursing home is understaffed there are just not enough people to provide the safe environment that is the nursing home’s duty. This is extremely dangerous for the nursing home resident and can lead to serious injury and even death. We monitor, inspect and regulate health and social care services. We publish what we find, including ratings to help people choose care. We set out what good and outstanding care looks like and we make sure services meet fundamental standards below which care must never fall. Where we find poor care, we will use our powers to take action. The article reports that the nursing home had been serving the community for thirty years and had forty residents. The article states that the report released information regarding the nursing home's ability to assess choking hazards. The published findings showed that risk assessments into the needs of individuals were not properly carried out and that "choke hazard" residents would often struggle with their food and drink. The inspectors say they spoke to staff about what they would do in a situation where an individual was choking. One carer replied: "If it is food or a foreign object I would turn them on their side. "I can't think of anything else, my mind has gone blank." The report also said that the carers did not "realize the seriousness of the incidents" that arose at the premises. It added: "Staff did not always recognize and report incidents which had left people at risk of harm." A nursing staff member at a Stillwater nursing and assisted living facility is alleged to have blocked a resident's lungs with a speaking valve, which prevented air intake and eventually led to the resident's death, according to a state investigation. 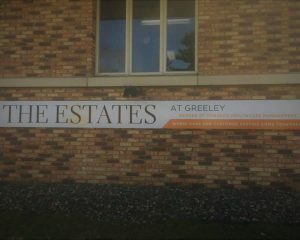 The Minnesota Department of Health found the facility, The Estates at Greeley, negligent in the resident's death in part because it did not provide training for staff in the use of the speaking valve in conjunction with a tracheostomy, or a tube in a windpipe to assist in breathing. A nursing assistant at the Center Home for Hispanic Elderly, 1401 N. California Ave., fed him food that did not comply with his physician’s diet orders, which called for mechanical-soft food only. A certified nursing assistant who was assigned to assist Mares with his evening meal set up the food tray on his table, positioned him to begin eating then stepped away from the area, according to the lawsuit. Mares ate the food unsupervised and began to choke. After realizing that Mares was choking, the nursing assistant unsuccessfully attempted to perform the Heimlich maneuver, according to the lawsuit. He also used the call light to ask for help, but no one responded. Mares was later pronounced dead after further life-saving efforts also proved unsuccessful. Langton Place one day ran out of the liquid nutrition she was fed through a tube. He also said she came down with cellulitis, a bacterial skin infection, and needed to be hospitalized. He said he also found caked feces in his wife's pubic area. A certified nursing assistant who was assigned to assist Mares with his evening meal set up the food tray on his table, positioned him to begin eating then stepped away from the area, according to the lawsuit. Mares ate the food unsupervised and began to choke. After realizing that Mares was choking, the nursing assistant unsuccessfully attempted to perform the Heimlich maneuver, according to the lawsuit. He also used the call light to ask for help, but no one responded. Mares was later pronounced dead after further life-saving efforts also proved unsuccessful. 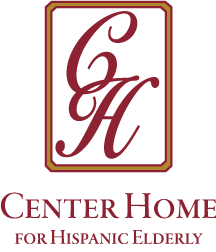 Clifton Oaks Care Center (Louisville, Kentucky)."